Leather repair is a highly skilled trade. Having had the very best training and being members, you can be assured that when you invite me to do your leather repair it will be the best job that is possible. 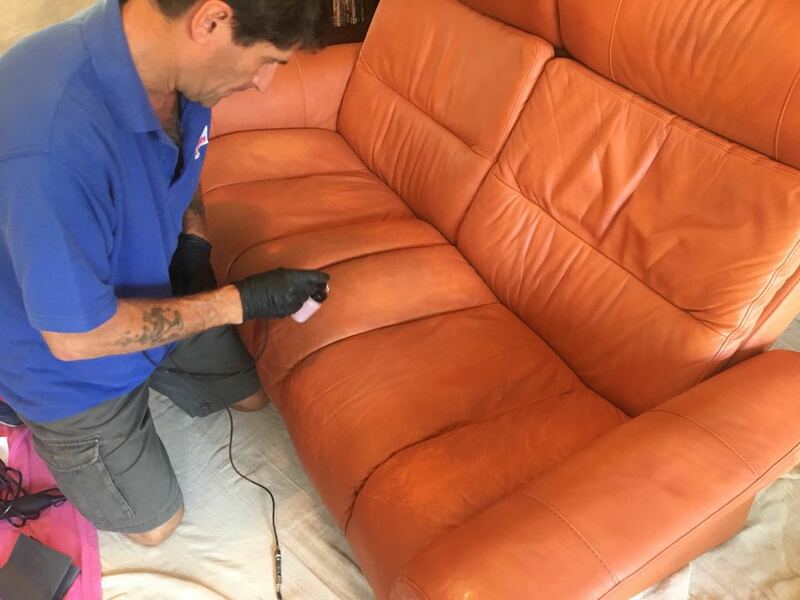 I keep up with all the latest developments in the leather furniture repair industry and attend regular training courses to ensure that I am able to give you the very best in leather repair Doncaster. Call me at any time or contact me through Facebook or even email me from the contact page on this web site. Remember, I only use the safest and most appropriate products when I am working on your valuable leather furniture. You will be amazed with the results when I repair your leather sofa. This covers everything from bags to leather jackets and of course furniture. We offer a full unique leather jacket repair service. This includes all the deep cleaning and re protecting your leather jacket needs to last. As a great local Doncaster company you can be sure that you are getting great value for money and a top job. When we come to your home to carry out the deep cleaning we first have to be sure what type of leather you have. So we check through the microscope to be sure! It is very important to understand what type of leather you have so that we can use the correct products. Many of the products on the market or in the shops contain chemicals that dry out your leather furniture. This causes cracking. We don't use anything like that, so don't worry. This is much more than leather cleaning as you know it. We provide a really deep down clean and we always supply and apply leather protector for you. Completely free. We feel this is integral to the service and we never charge extra for it. It will help stop your leather cracking and it will feel great too! If you have worn out the arms or the colour has faded in parts or if you want a full leather re colour. I can do it for you. Just give me a call. As a highly trained leather cleaner and restorer I can renovate and preserve any leather. Just ask! Including leather handbags, shoes, leather jackets, leather car seats and all sorts of expensive leather items that you just want back as it was. Don’t throw away your investment just call me. If you are looking for Leather cleaning Doncaster you have come to the right place. Fantastic results every time and my 100% guarantee. 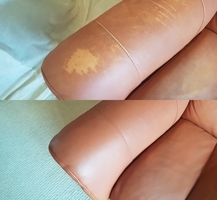 That is what you deserve when you hire a professionally trained technician to do your leather cleaning Doncaster. I will revitalise and condition your leather sofa and all leather items bringing them back to their great natural beauty. Be proud of that sofa that you spent time carefully choosing. Let me deep clean, condition and re protect it for you. Our prices are unbeatable for the service you receive and we guarantee all of our work. So how often do you need to deep clean your leather sofa? As a rule of thumb, a leather sofa should be cleaned roughly once a year if you want to keep it in good condition. If it has been longer, don’t worry. If you are looking for leather repair Doncaster you have come to the right place. Call us today for all your essential leather repairs and cleaning. Leather cleaning Doncaster are highly trained local family firm. We can repair all sorts of scratches and scuffs and even totally recolor your leather suite. Call us today. 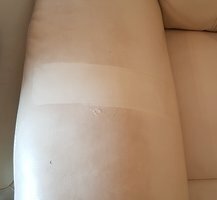 Leather cleaning Doncaster. Leather repairs Doncaster Fantastic service from a local family firm. High quality leather repair in Doncaster. Call Doncaster Leather Care now. Doncaster Leather Care. 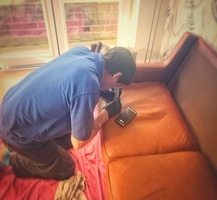 First class leather repair in Doncaster. 88 The Homestead, Bentley, Doncaster. DN5 0RU 01302 272102. Leather repair Doncaster.